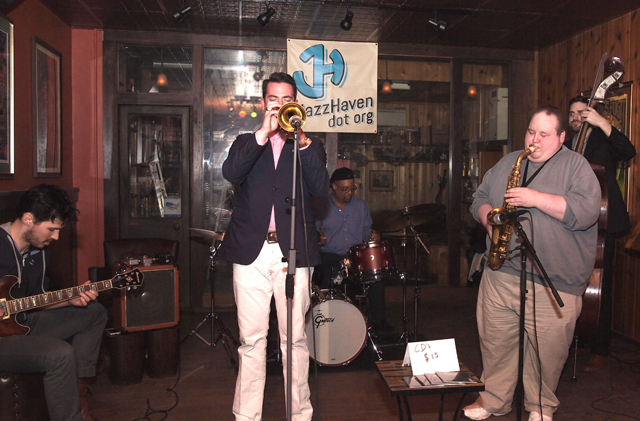 The Ricky Ford Quartet performs at the Side Door Cafe on Saturday, April 13 from 8:30 to 11:00 pm. Tickets are $35.00. Born on March 4th, 1954, he was trained at the New England Conservatory of Music by Gunther Schuller, Ran Blake, Jaki Byard, George Russell, Joe Allard and Joe Maneri. Mercer Ellington invited him to join the Duke Ellington Orchestra just a few months after the passing of Duke Ellington and Paul Gonsalves. Afterwards, he went on to work with Charles Mingus (1976-1977), Dannie Richmond (1978-1981), Lionel Hampton (1980-1982), Abdullah Ibrahim (1983-1990), Mal Waldron (1989-1994), and made recording sessions with Yusef Lateef, Sonny Stitt, McCoy Tyner, Freddie Hubbard, Amina Claudine Myers, Sathima Bea Benjamin and Steve Lacy, to just name a few. Throughout his career, Ford has strived to master different musical genres, from swing to hard bop to free, focusing closely in the recent past on the works of Turkish poet and musician Neyzen Tevfik (1879-1953).